As more and more devices are released running the Google Android operating system, developers are creating more apps for Android Market. If you want to look busy, check out our list of the Top Free Apps for Android. But if it’s time to relax the good news is that there are loads of games now available and in this article we are going to take a closer look at the top ten best Android games. From great Android bubble games to shooters there is something here for everyone and many of them are free. First on our list is the completely free Android bubble game, Bonsai Blast. If you’ve ever played Puzzle Bobble then you’ll get the idea straight away. You need to shoot balls into the stream to make up groups of three with the same color and clear them. If you don’t get them before they reach the Yin Yang symbol then you lose. You can move the gun around and there are power ups and bonuses to spice things up. This is addictive stuff and it’s free. 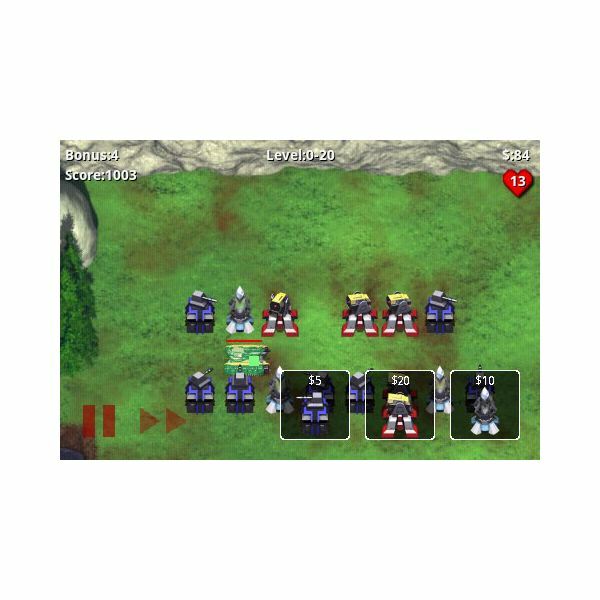 This is a typical tower defense game where you build defenses and then a wave of nasty robots attacks them. There are loads of maps of various difficulties and you get 20 lives and a choice of defenses which can all be upgraded. 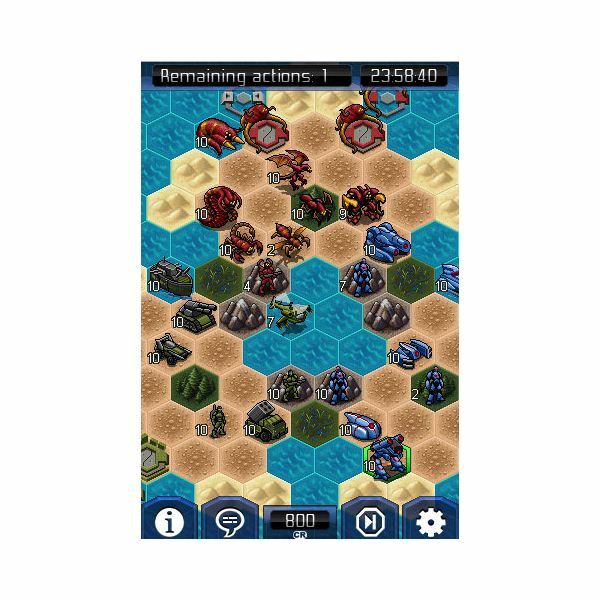 If you’ve played tower defense games before then you’ll get straight into this and it offers a surprising amount of strategy for such a simple setup. It costs $2.99 but there is a free demo to check out. If you get hooked on this game check out our Robo Defense Guide for some tips and tricks. This is a mash up of Tetris and Bejewelled. 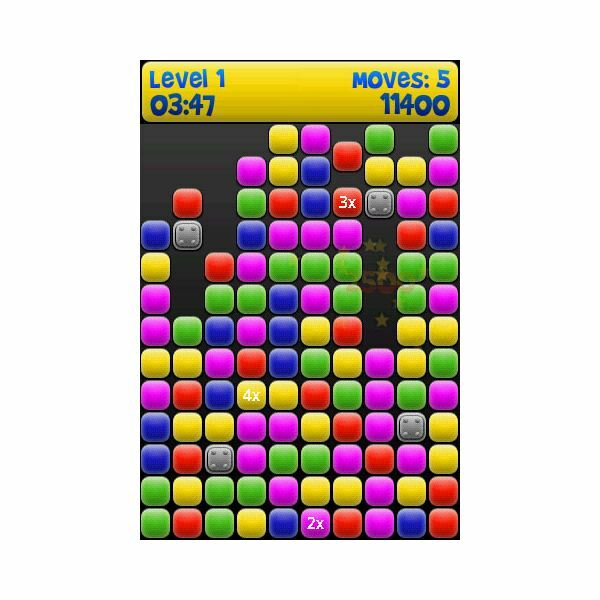 It is a nicely presented puzzle game based around matching colored blocks and there are over 100 levels. There are three modes each offering a slightly different challenge. There is also an online scoreboard but be prepared to put in days playing this if you want to break onto the top. You can also customize your blocks to some extent which is a nice wee idea. This release is a bit pricier though at $4.25. You play a grizzled old miner and have to descend into the depths to extract whatever precious ores and gems you can find. You start by stocking up on supplies and then sell your gains at the store so you can buy more supplies to reach the lower depths and get your hands on bigger prizes. 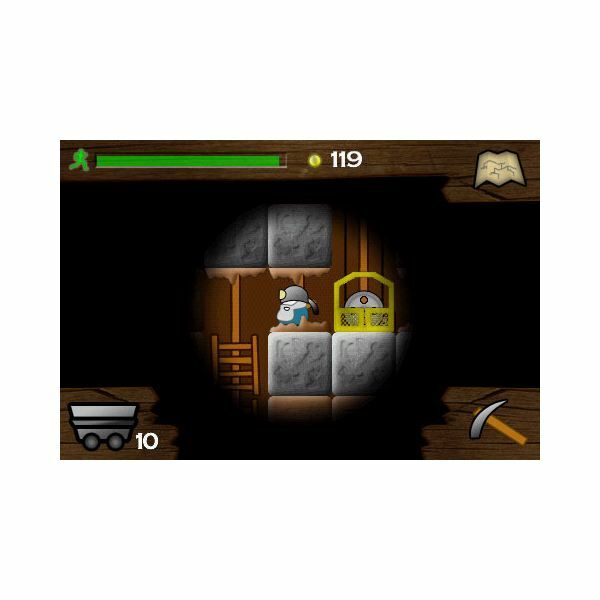 This is quite an attractive game and it takes some strategic skill to ensure that you get out of the mine alive every time. There is a free version available. This may not be the greatest game ever but the idea is fantastic. Parallel Kingdom is an MMORPG which uses your GPS functionality and Google Maps to overlay the real world with a fantasy kingdom. You can explore, collect items and even lay claim to territory and while it is graphically pretty basic, it is a very engaging idea. It is also completely free so check it out. This is an awesome free game which is based on Pictionary. 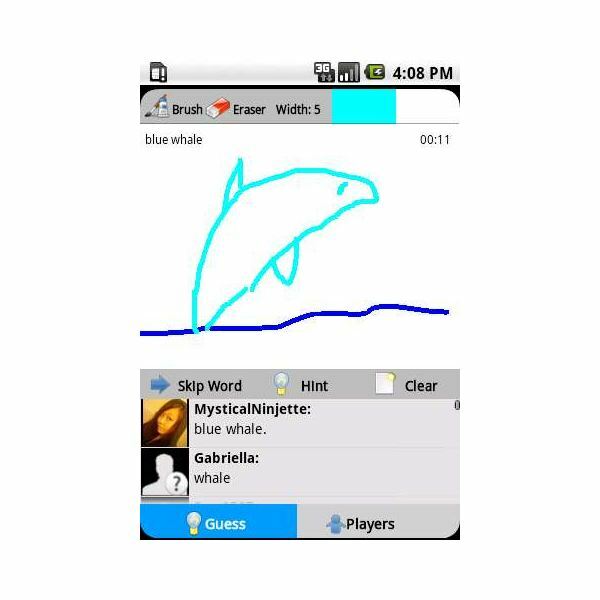 You take part with other players in an online chat room and much like Charades the person who guesses the picture correctly becomes the sketcher. You’re given a thing to draw, which only you can see, and as you draw the other gamers see the results in real time and can weigh in with guesses. This is a clever use of the touchscreen and very sociable. 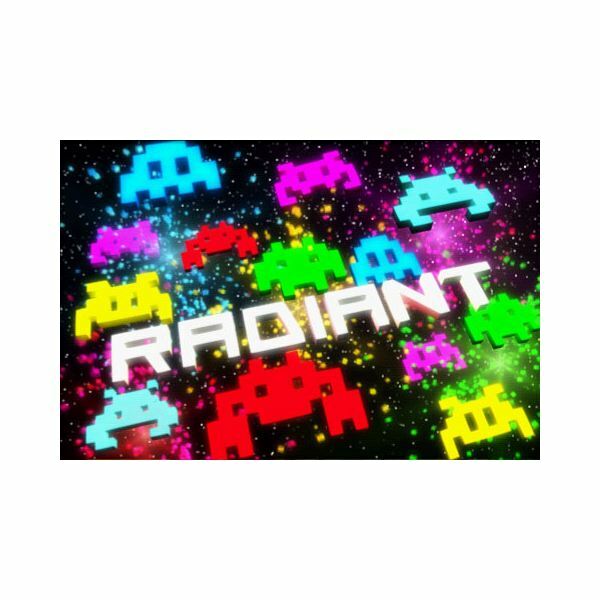 Everyone loves a bit of Space Invaders style action and Radiant offers a glowing bout of space battle excitement. This is a classic shooter game which charges you with taking on a vicious alien horde and it is definitely one of the best Android games available. There are basic drones, mother ships and meteors to tackle as you fight to protect your home world from destruction. The basic Space Invaders gameplay has been spiced up with some weapon upgrades and power-ups. It is visually attractive with a neon glow to the various space crafts and it even has a back story woven in. You can try out Radiant for free or purchase the full version for $2.50. If you like your turn-based strategy games and want to play multiplayer then UniWar is the game to check out. Loads of tile based maps, up to 8 players and a range of races and units make this an immersive experience. There is a campaign mode with missions and various multiplayer choices backed up by an in game chat and a worldwide leader board. Fans of Advance Wars will like this and the support for multiple simultaneous games is a great feature. It costs $4.99. This won’t appeal to everyone but it is an idea which seemed inevitable and now the technology is here to support the soon to be released Wi-Fi Army. 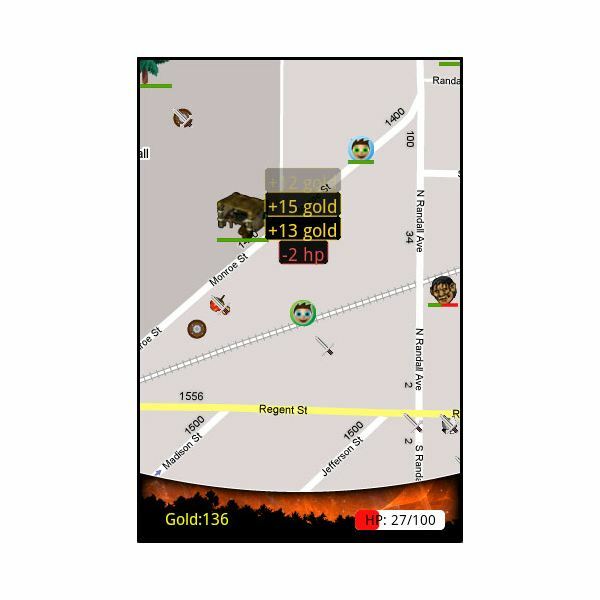 The basic premise is that the game uses your GPS to identify the location of targets and you can kill them by taking a photo of them. This is like taking part in a first-person shooter….sort of….or perhaps more like Laser Quest. In any case if you fancy hunting real people round your city it will be free to play and is sure to make for a thrilling, or at least novel, experience. Ok this isn’t really a game but if you want to play games on your Android then it is highly recommended. It costs $2.99 and will allow you to install and play NES ROMS on your mobile. This means you can play classics like Donkey Kong, Zelda, Double Dragon and Final Fantasy. Of course you should own the original games if you’re going to do this or strictly speaking it is illegal. 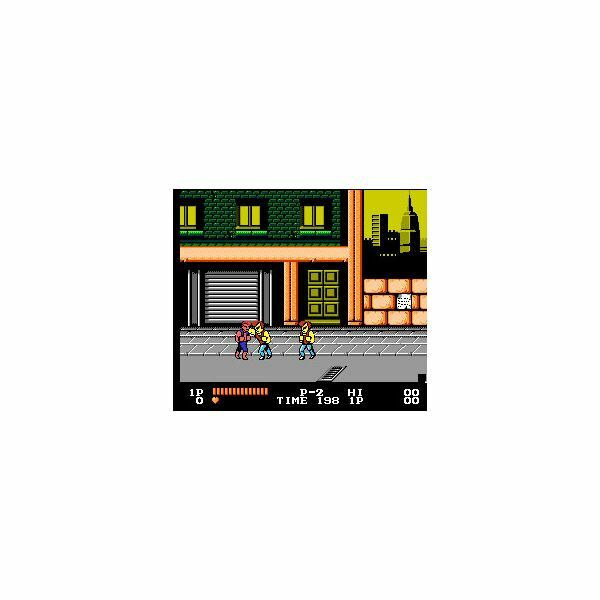 You can store the games on your SD memory card and there are some great old NES titles which are easily better than most of the games currently available on Android Market. With the operating system still relatively new it would be safe to assume that the best Android games are still to come. 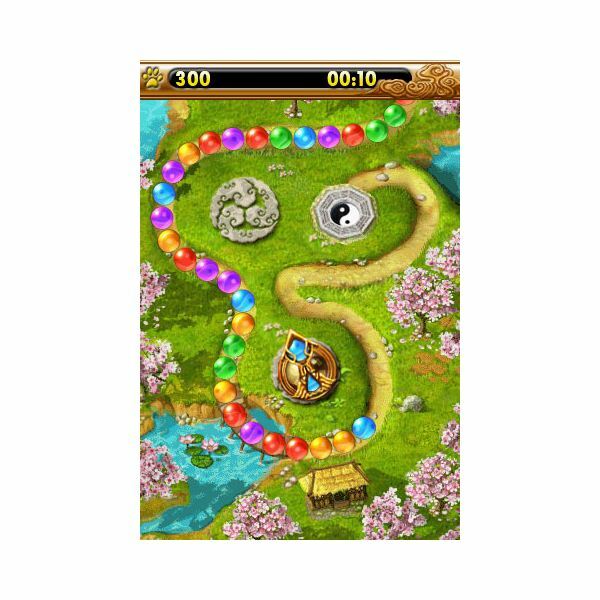 Check out Another Ten Great Android Games for more ideas.